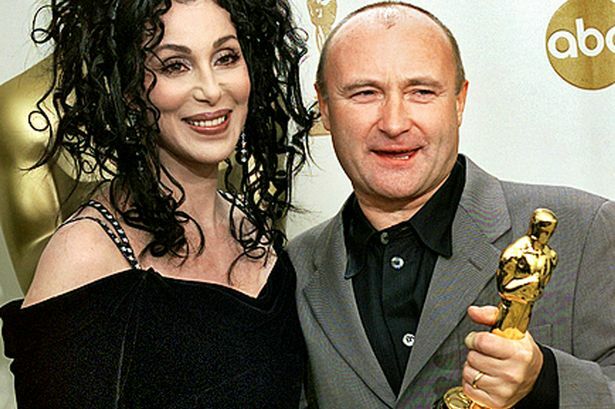 With an estimated £120million in the bank, 250 million records sold and seven Grammy awards, Phil Collins should have been able to retire happily. But away from the cameras and glamour, the Genesis frontman found himself alone, drinking wine at 11am and struggling to get up in the morning. After his third marriage collapsed and his ex-wife moved hundreds of miles away with the youngest of his five children, the singer began to lead an increasingly recluse-like existence. Soon, battling severe pancreatitis and with no cure for a career-threatening tendon injury, the 63-year-old began sinking towards depression. 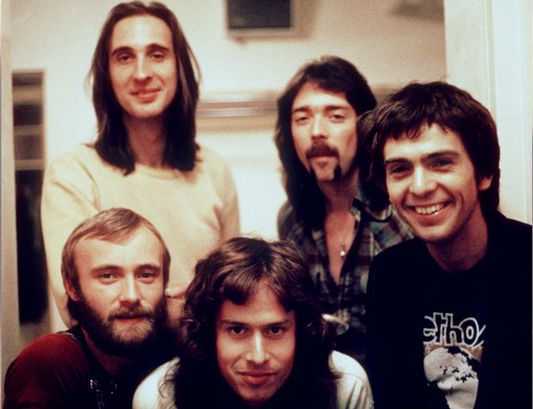 It was only pals, including bandmates Mike Rutherford and Tony Banks, and the support of doctors which eventually helped to pull him out of the mire. He says: “I was taking medication for this and for that and the mix made me start to fall over as my pancreas was taking a beating. This time I’d fallen and split my head open. I was in my hospital room, Mike and Tony came in and said, ‘We just want to see how you are. Sure we can’t do anything?’ It was lovely. “Peter Gabriel rang and said, ‘I’m not sure about you retiring – not for the kids, you become a bit needy’. I took his point but nobody understands your life like you do. Phil’s first marriage to Andrea Bertorelli lasted five years, his second to Jill Tavelman for 12 years, while his third, to Orianne Cevey ended after five years. For the past eight years, he has been dating American TV news presenter Dana Tyler, 55, although he is firm when he says he is unlikely to wed again. Three divorces are said to have cost him £42m, so little wonder he is wary. The multi-Brit-winner has Simon, 37 and adopted daughter Joely, 42, from his marriage to Andrea, Lily, 25, his daughter with Jill and Nicholas, 13, and Matthew, nine, from his marriage to Orianne. Today, Phil splits his time between New York, his place in Switzerland or a Miami hotel to be near his kids. Speaking from a suite near his Manhattan home, he adds: “The retirement process started in 2004 when Matthew was born. “I thought I’m going to do this the right way – I don’t need another gold record, or any gratuity and gratification; I want to stop and bring my kids up. "And then stuff happens you can’t control. You get a divorce so I’m not living with my kids. “Then they moved to Miami and I’m suddenly retired and I don’t have the kids. So then I’m getting up and watching cricket, turning on the television at 11am and having a bottle of wine. “I was never an alcoholic; I just got to be doing that most days. “But you have to have a reason to get up and my manager keeps saying: ‘You have to do something.’ But right now I don’t really feel the urge to record. 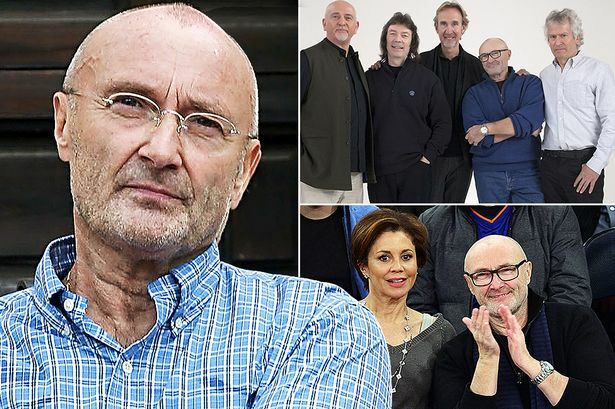 However the reformation of Genesis for a BBC2 documentary airing on Saturday, as well as a new album featuring the band’s hits and their own solo material, has allowed Phil to dip his toe back into the music industry. Though he can no longer play drums due to nerve damage, it’s made him think about possibly performing again. 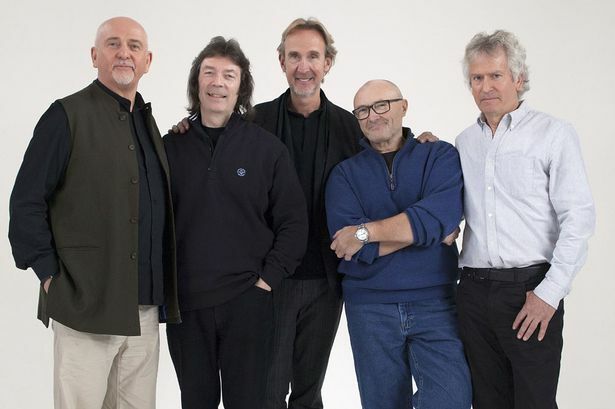 “When we were approached about the documentary I said to the director, ‘Get the five of us in the same room together, no one’s done that’,” says Phil, who moved from drummer to lead singer of Genesis when Peter Gabriel left in 1976. “It was great the five of us being together and what really shows in the documentary is the affection. Clearly Phil still struggles mentally and physically with the tendon injury to his left wrist. He grimaces: “I tried to play the drums a few weeks ago but it was like my left arm and hand belonged to somebody else. "All the touch on two or three fingers has gone in both hands. Not so much on my right but completely on my left. “It’s frustrating – I put my hands in my pockets and a couple of fingers stick out. Cutting a loaf is dangerous. I get a knife and can’t use it. "There are good days and bad – cold doesn’t help. I can’t tour in winter because if the temperature drops you can’t hold a drumstick." One the biggest-selling solo artists of the 80s and 90s, and winning a Best Song Oscar in 2000, Phil struggles with fame. “I kind of give myself a bit of a hard time and I’m sure people will say. ‘Oh Phil lighten up’,” he says. “But I really didn’t mean to be annoying, ubiquitous or in your face. "I was everywhere, but mainly because I was an enthusiastic kid. I was asked to do all these things, which were great fun and I knew wouldn’t come around again. People describe me now as the reclusive singer Phil Collins and I kind of like that. I don’t want to still be out there being a shadow of my what I was. Let them ask where I am. However it’s a bit fear factor of the reality of going back out. Are there enough people? I’ve done so many amazing things, I don’t have too many things left on my bucket list." It is a big achievement for a boy who grew up in Hounslow and got a toy drum kit when he was five. After starting as a child actor and model while at the Barbara Speake Stage School his first big role was the Artful Dodger in the London production of Oliver! But music beckoned and in 1970 Phil answered an advert to play drums with Genesis. The rest is history. Today, for Phil, his kids are clearly still a huge priority. While Phil may be living away from the spotlight, his daughter Lily is firmly in it. The Blind Side actress has become a glossy magazine favourite. “Lily’s capable of doing anything she puts her mind to,” he smiles proudly. “And she’s very conscientious. I’ve sat and read through scripts with her and she still wants to get dad’s feedback. “She’s a great example of ‘I may be 25 but I still need to hear ‘I love you’. Her mum’s brought her up in a great way. “We’ve talked about all kinds of things whether it’s love, boyfriends, girlfriends. Genesis: R-Kive is out now on Universal. Genesis: Together and Apart is on BBC2 on Saturday, October 4.